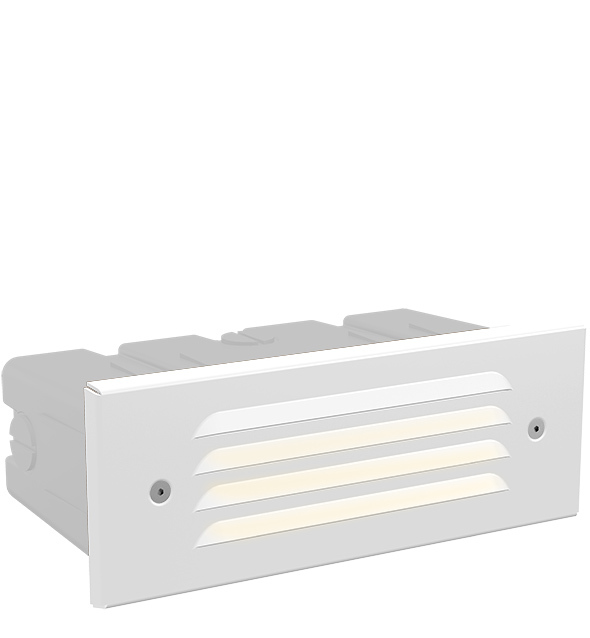 Utilitarian recessed wall light in 2 LED. Available in copper construction. 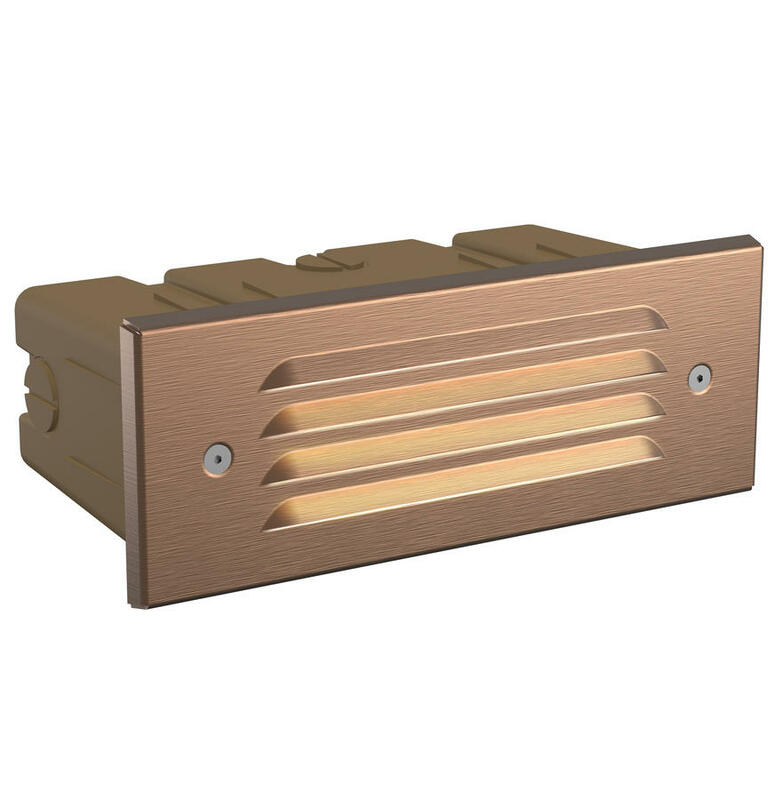 Stamped C110 copper faceplate, A380 aluminum housing, PBT construction box/sleeve, and stainless steel hardware. Polycarbonate color temperature adjustment lenses included with fixture: 2700K (preinstalled), 3900K (no lens). 4500K and 5200K options specified separately. Color temperature lenses field serviceable. Die-cast aluminum housing with capacity for two 1LED integrated LEDs. 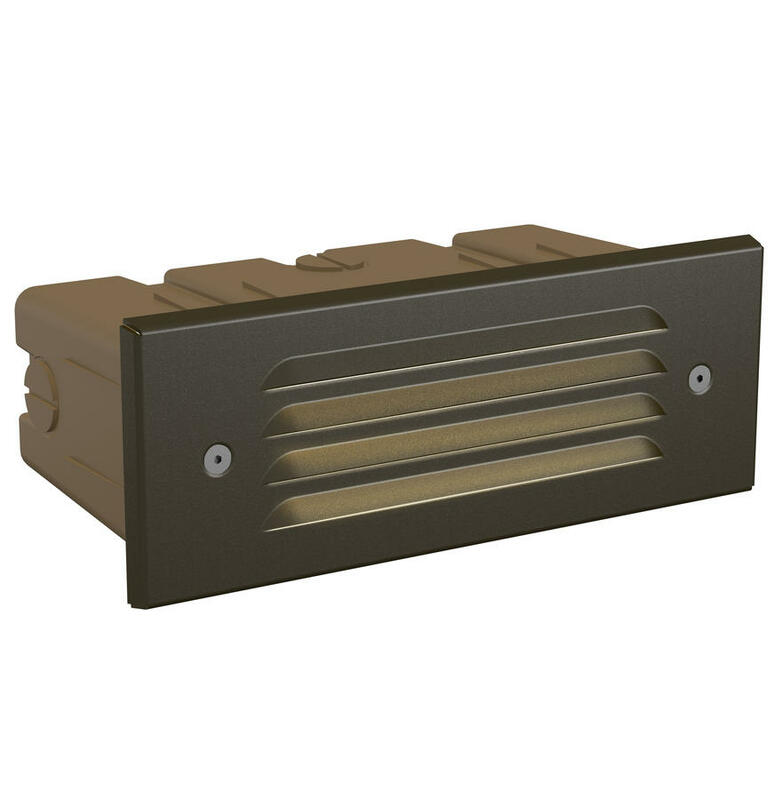 Stamped C110 copper faceplate with flat plastic lens. Vertical and horizontal 1/2" NPT knockouts. Sleeve protector included, preventing caving during wall fabrication. Options of natural copper finish, antiqued finish with brushed (Antique Bronze) or tumbled (Antique Tumbled) effect, or TGIC powder coat finish. Antique finishes sealed with a clear TGIC powder coat layer. Tamper-resistant stainless steel fasteners included. 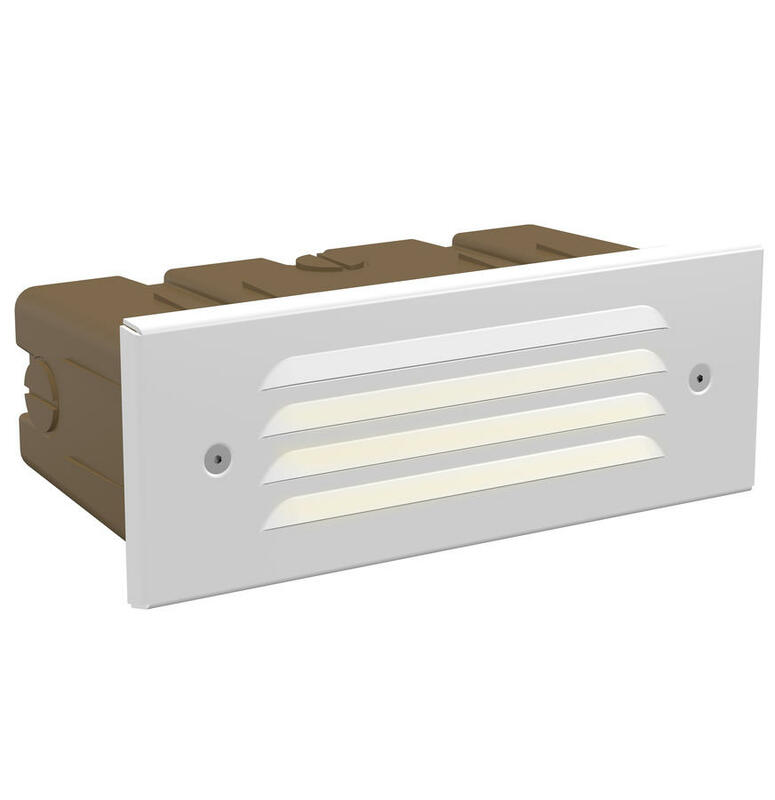 Designed for recessed installation in a vertical wall in the down lighting position only.